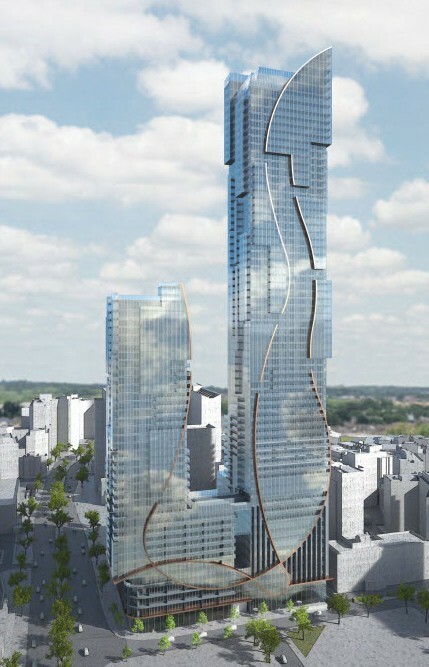 The Estates Gazette has reported further details of the plans for the One Lansdowne skyscraper in central Croydon, with one its two towers being 700-foot tall, all to be built on a site immediately opposite where the new Westfield shopping mall might be, sometime, eventually. Inside Croydon reported four months ago the £500-million contract with a Chinese contractor, when details were first released of changes to the original plans for the site, which has existing permission for a 55-storey, mixed used development including offices and a hotel as well as residential. And so it may prove. In the plans submitted for approval, only 107 of the 917 residential apartments won’t be private – or less than 12 per cent of the development. The hotel and offices have gone from the revised scheme, and the towers will be of 39 and 69 storeys, with a visitor attraction of a bar, restaurant and viewing gallery provided on the 66th to 68th floors of what would be one of the tallest residential blocks in Britain. And eye-catchingly, between the 11th floors of both blocks will be a glass-bottomed swimming pool, which the developers’ PRs have described as “(almost) unprecedented”. That’s because it is not unprecedented, since it mimics a similar splash-in-the-sky pool proposed in a development alongside the new United States Embassy at Nine Elms. 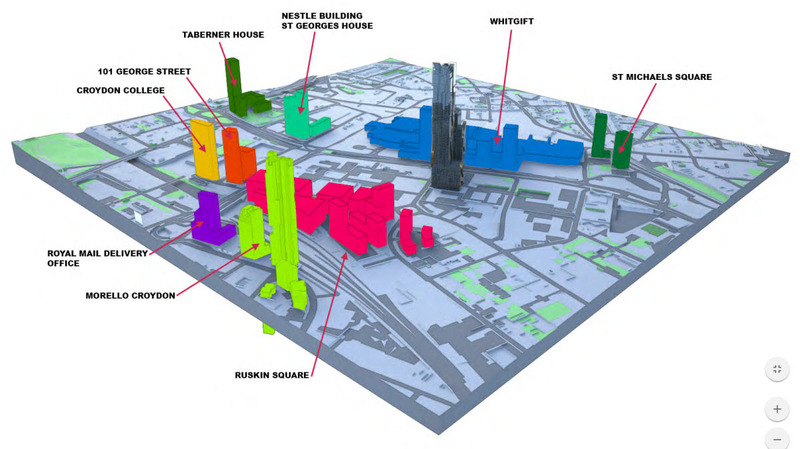 The council’s planning committee, chaired by architect Paul Scott, has already had sight of the plans at a pre-application stage, when the tallest tower was to be a “mere” 65 storeys. Indeed, as yet none of the Tory councillors for Fairfield ward, nor the local Tory MP, Gavin Barfwell, have launched any petitions to complain of over-development, nor about the prospect that these buildings wil do little to address the housing needs of Londoners. This entry was posted in Fairfield, Housing, One Lansdowne Road, Paul Scott, Planning, Property, Whitgift Centre and tagged 1 Lansdowne, Barwell, Croydon Council, Gavin Barwell, One Lansdowne, One Lansdowne Road, Paul Scott. Bookmark the permalink. Does Croydon really think that building height can be sold as an escape from pollution? If you live high enough can you escape the dreadful traffic? let alone the incinerator plume? Hong Kong is so polluted that even height leaves you in dangerous air. The population densities and public transport fight against each other. In Beijing, now world-notorious, they have measured the inversion domes at tall building heights.With radar,mobile static stations.Their are excellent schematics for measurement sources and results….unlike Croydon,which has closed the few monitors it has. You can find the paper at the title below when Googled and see Fig 5.
no space,no clean air! How Ironic….sssssscchhhhh! The Coffee from Matthew’s Yard must have a lot of outlets. 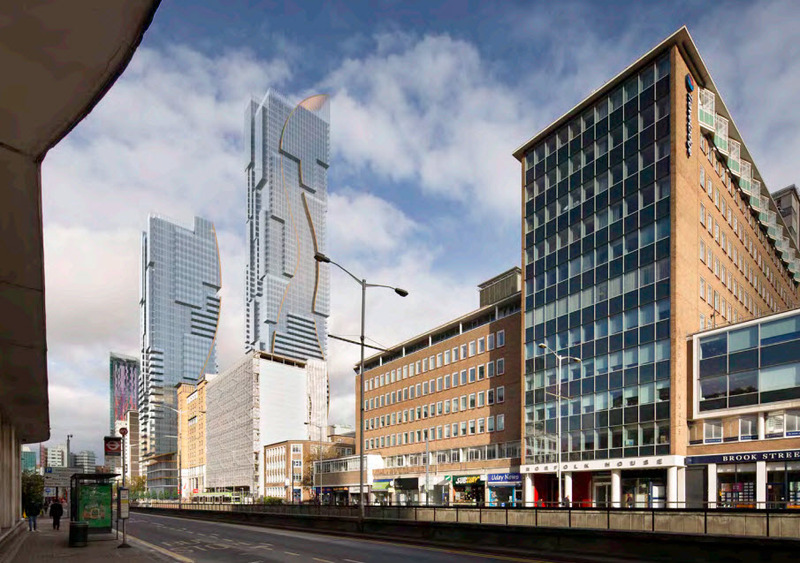 The plans for Croydon look like an Acid Trip, but what always results is one big downer. The ostentatious Architect for this U shaped bend design stated in his presentation to the Council that the groove in this nightmare in glass will alleviate any potential down draughts from a building of this size. Only those who are around the bend will believe this is a realistic and right option for an area like Croydon with it’s severe shortage in housing.